Violinist/conductor Joseph Silverstein, music director of the Utah Symphony from 1983 to 1998, has been guest conductor and soloist with orchestras in the United States, the Asia, Israel, and Europe. In recent seasons, he has appeared in recital in Boston, New York, Cleveland, Detroit, and Philadelphia. As a conductor he has appeared with the orchestras of New Jersey, Pittsburgh, Minnesota, San Antonio, and Rochester; the St. Paul Chamber Orchestra; France's Orchestre Nationale de Lille; the Berlin Symphony; the National Symphony Orchestra of Taiwan; and the Verbier, Aldeburgh, Aspen, and Santa Fe festivals. In addition, he has served as artistic advisor to many US orchestras. 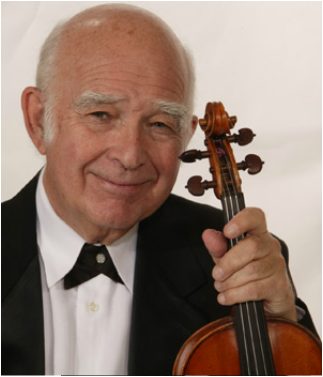 After attending The Curtis Institute of Music, he joined the Boston Symphony in 1955, became concertmaster in 1962 and assistant conductor in 1971, holding both positions through the 1983-84 season. During his Boston tenure, he conducted the orchestra on more than 100 occasions. A former faculty member of the New England Conservatory, Yale University, and Boston University, he is presently on the faculties of the Tanglewood Music Center and The Curtis Institute of Music. Mr. Silverstein has recorded for the RCA, Deutsche Grammophon, CBS, Nonesuch, New World Records, Telarc, and Pro Arte labels; his Telarc recording of Vivaldi's Four Seasonsreceived a Grammy nomination. Mr. Silverstein has been an Artist of The Chamber Music Society of Lincoln Center since 1993.